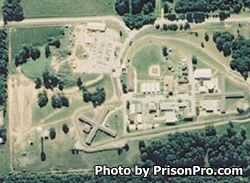 Ozark Correctional Center is located in Fordland Missouri. It is a minimum security treatment facility that houses approximately 738 male inmates. Ozark Correctional Center operates a 650 bed substance abuse treatment program. The substance abuse program at this facility is a long term program that is 12-24 months of intensive treatment. While incarcerated inmates are encouraged to take educational courses to earn a GED and obtain an adult basic education. Participation in educational and vocational programs gives the inmate a much higher chance of success upon release. Visitation is on Saturdays and Sundays from 9am-5pm. All visitors must have an approved visiting application on file for the inmate they wish to visit prior to attending a visitation session.